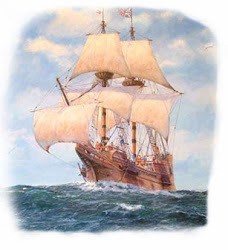 Mayflower Brothers: Get Out Of Our House! Voting the career politicians out! Get Out Of Our House! Voting the career politicians out! Tonight on Breaking it Down with DT we interviewed Tim Cox, founder of Get Out Of Our House (GOOOH) and author of the book "Get Out Of Our House: Revolution!". Tim explained to our listeners tonight about a system he and his team developed to find ordinary Americans to run for the US House of Representatives and to help them get elected to get the career politicians out of Washington and return us to the citizen legislators we were supposed to have. According to the GOOOH website "It is a NON-PARTISAN plan to place citizen representatives on the ballot in 2012, ideally in the primary against the incumbent, competing for a seat in the U.S. House of Representatives. The members of each district will have an honest opportunity to replace the career politicians who have taken over OUR House and are destroying our nation." If you are looking for more information or to get involved with the candidate selection process check out their website here. You don't need to desire to be the candidate, all you need is a desire to be part of the solution and not part of the problem. On tonights show we also discussed the sponsorship of the AFL-CIO of the OWS crowd and their new liberal trash site wearethe99percent.com. When was the last time you felt bad for a union member with their cushy paycheck, cadillac benefits plan and great retirement system? We also discussed Acorn's efforts to pad the numbers at the OWS protests by paying their employees to join the protests as well as many other important topics. Click on the player on the right side of the page to hear the archive or click here to go to the show page to listen!